Cleanup continues after last week’s flood in Green Bay. Nearly 100 homes were evacuated along the east river. Hundreds of people are returning to their homes here in east Green Bay to see the excessive damage done to their cars, personal property and basements of their homes. 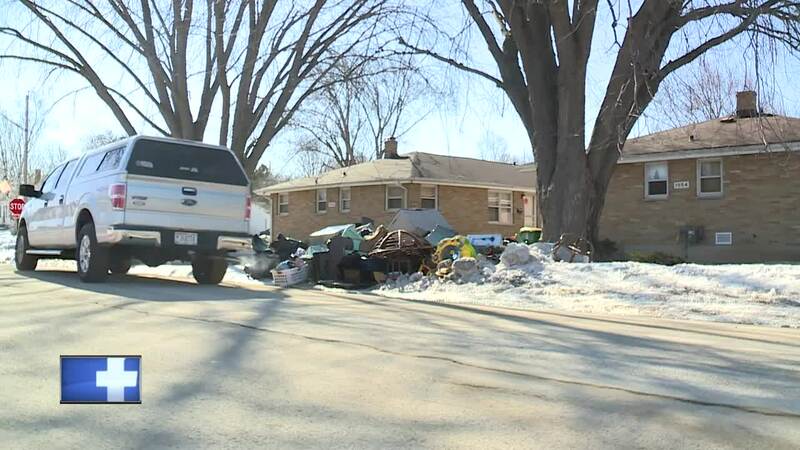 Just about every other home along the flood plain of the East River is dealing with the same thing, with home owners dragging out their possessions from the basement and putting them on the curb to be taken to the dump. One man who has lived here for more than 25 years says, at the flood’s worst point, they had five feet of standing water in their basement. "When you live in a flood zone area you always say, ‘Is my basement holding up, is my sump pump holding up, do I have a second backup holding up’, and you know that's hard,” said Laos Lor, who lives on Cass Street. “Once this is done and get everything all fixed the house and everything, I think we're moving out." Building inspectors have put condemned signs on countless homes in the area, but that doesn't mean that people can't move back in once repairs are made. Right now, Green Bay's building inspector says they just want to make sure that no one is sleeping in homes where electric and gas services have been shut off. 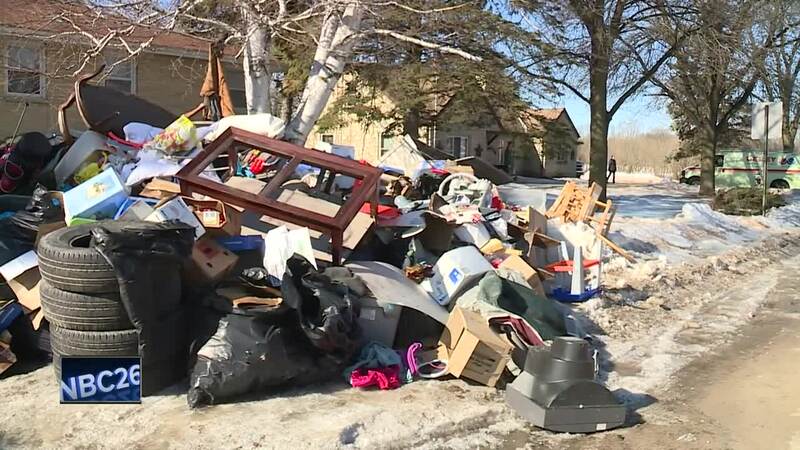 GREEN BAY, Wis. — Cleanup continues after last week’s flood in Green Bay. Nearly 100 homes were evacuated along the East River. Hundreds of people are returning to their homes here in east Green Bay to see the excessive damage done to their cars, personal property and basements of their homes. 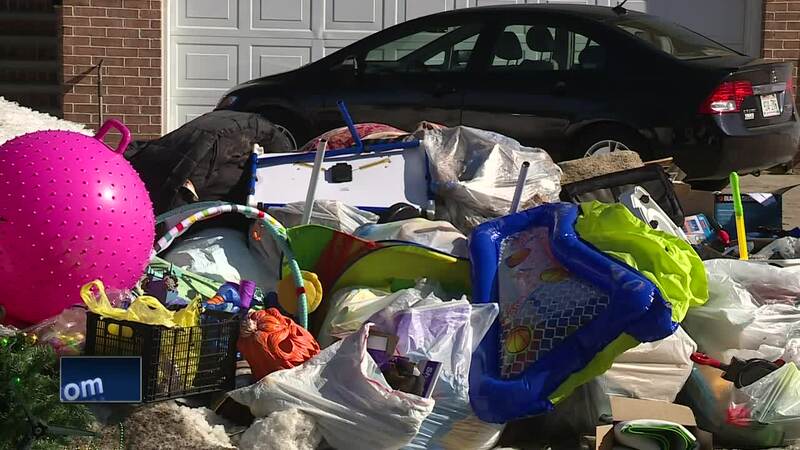 Just about every other home along the flood plain of the East River is dealing with the same thing, with home owners dragging out their possessions from the basement and putting them on the curb to be taken to the dump. One man who has lived here for more than 25 years says, at the flood’s worst point, they had five feet of standing water in their basement. "When you live in a flood zone area you always say, ‘Is my basement holding up, is my sump pump holding up, do I have a second backup holding up’, and you know that's hard,” said Laos Lor, who lives on Cass Street. “Once this is done and get everything all fixed the house and everything, I think we're moving out." Building inspectors have put condemned signs on countless homes in the area, but that doesn't mean that people can't move back in once repairs are made. Right now, Green Bay's building inspector says they just want to make sure that no one is sleeping in homes where electric and gas services have been shut off.